The West Coast Cub Fly-in is celebrated across the nation as one of the top fly-ins for historic aircraft, and more than 100 planes are expected to participate this year. Scroll down to see this year’s schedule! 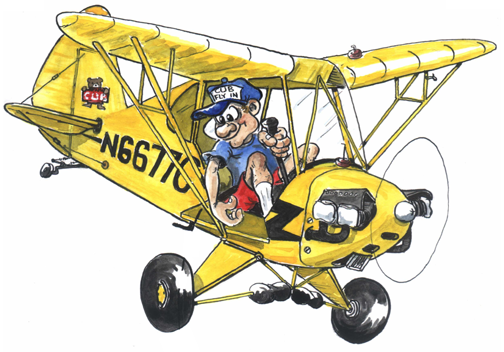 The West Coast Cub Fly-in is a fun family-friendly event held each year during the summer at the Lompoc Airport. The event is free for spectators and made possible by local EAA Chapter 275, Explore Lompoc, the City of Lompoc, the Lompoc Airport, and all of the wonderful West Coast Cub Fly-in volunteers! This event is not just for pilots – but also welcomes spectators. Visitors can walk among the aircraft, observe the flying events, and interact with the pilots. Among the popular events are pilot proficiency contests held on Saturday afternoon. In addition, we’ll have T-SHIRTS and SOUVENIRS on hand for your shopping pleasure, and tasty FOOD and BEVERAGES also available. Check out the schedule below to see what’s on the menu! Participating pilots – $20 registration fee collected at the event. PARK NEARBY: Free parking is limited on site. Additional parking is nearby. BRING a CHAIR and CAMERA: Consider bringing a lawn chair and your camera, especially for the Saturday afternoon pilot proficiency games! SAFETY: Parents must closely watch children due to the presence of airplanes that will taxi from one place to another around the airport. DOGS must be on a leash. If the weather is especially warm, please be aware that the heat may dehydrate your pet and the hot asphalt and cement could actually burn or blister your dog’s paws. THE BASIC SCHEDULE, WITH LOADS OF FUN & ACTIVITIES MIXED IN! 10:00 am Planes arrive. Registration is open from 10:00am to 5:30pm for arriving pilots. 11:00 am Lunch and Dinner ticket sales begin. 11:00 am Hamburgers and hot dogs will be available starting at 11am. 6:00 pm The traditional Spaghetti Dinner is served at 6:00pm (tickets sold on-site). Soft drinks, beer and wine are also available. 7:00 am – 10:00 am Pancake breakfast. 7:00 am Banner Airways will be here and available for rides all day! 10:00 am Pilot registration is open from 10:00 am – 3:00 pm. 10:00 am – 1:00 pm Registration for the Pilot Proficiency Contests will be open from 10am – 1pm (only 50 available). 1:00 pm Pilots safety briefing for flying activities. 1:30 pm Flying Activities – aerial games and pilot proficiency contests begin! 3:30 pm Flying Tour – a mass scenic flight is scheduled, time and weather permitting. 5:30 pm Tri-tip BBQ dinners will be available starting at 5:30pm – 7:00pm. Dinner tickets will be available at the door. 7:00 pm The award ceremony begins, followed by a raffle for great donated gifts! 7:00 am Breakfast is from 7am – 10am, and many aircraft depart in the morning for their home bases after the normal morning fog lifts. (No other special events are planned for Sunday).